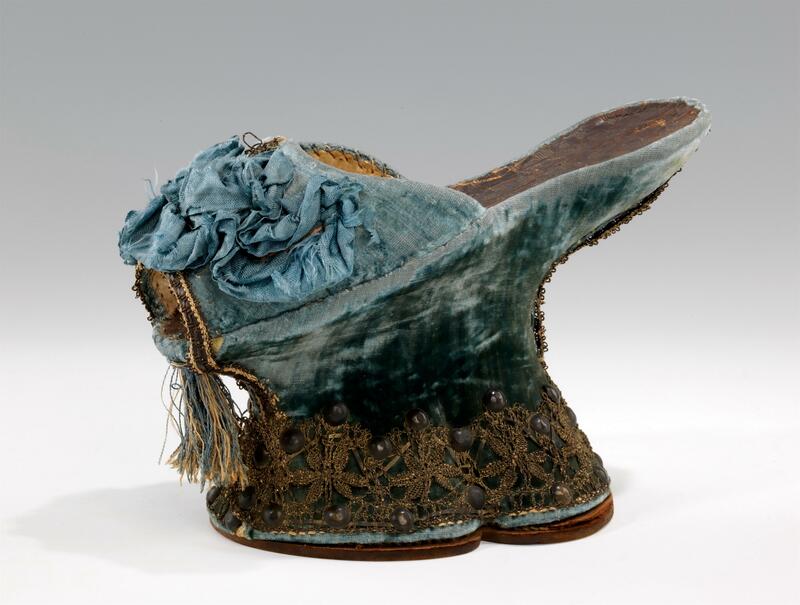 This page highlights Artstor content related to fashion and costume, including images of historical fashion, costumes, designers, and fashion shows. Image credit: Italian. Chopines. 1590-1610. Image courtesy The Metropolitan Museum of Art. Browse by classification for Fashion, Costume and Jewelry, and then narrow by country name. Browse museums with encyclopedic collections (such as The Metropolitan Museum of Art or Philadelphia Museum of Art) by classification and select the category for Fashion, Costume and Jewelry. Try these sample search terms to find images related to fashion and costume. Don't forget to use the search filters to narrow your results. Magnum Photos, the world-renowned cooperative of photojournalists, has shared approximately 80,000 images documenting historical events, contemporary life, and notable personalities of the 20th century. These include portraits of fashion designers such as Coco Chanel, Christian Lacroix, Karl Lagerfeld, Jeanne Lanvin, Sonia Rykiel, and Yves Saint-Laurent. The Magnum photographs may also be studied as visual documentation of changing fashion trends over the decades, whether the iconic style of figures like Jacqueline Kennedy or Audrey Hepburn, or everyday casual attire. Magnum photographers also provide coverage of contemporary fashion with selected runway shows during recent fashion weeks in Paris, Milan, and New York. These photographs capture designers and models, both on the catwalk and behind the scenes.